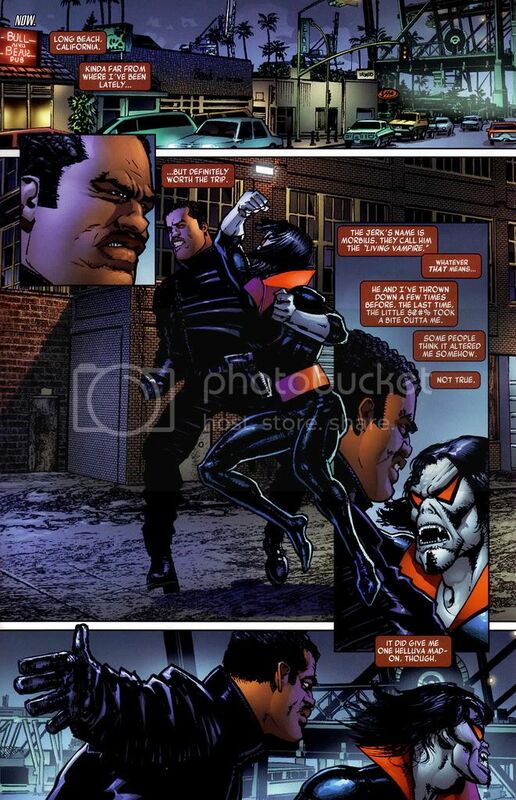 Did you know that Blade had a secret Morbius scene? I love Blade. Blade to me is the best Super Hero movie of the 90s by FAR! The only thing in its period that comes close is Spider-Man and X-Men. Blade came out in 1998. 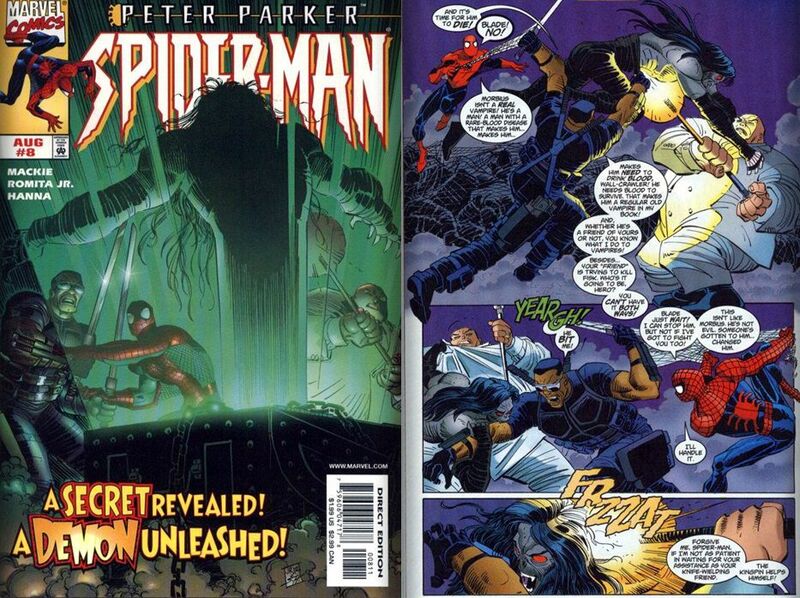 Spider-Man came out in 2002. X-Men came out in 2000. There is a lot about Blade that really stands out as being unique. Frankly if you ask me which of these three movies I want to watch nine times out of ten i am going to say Blade. 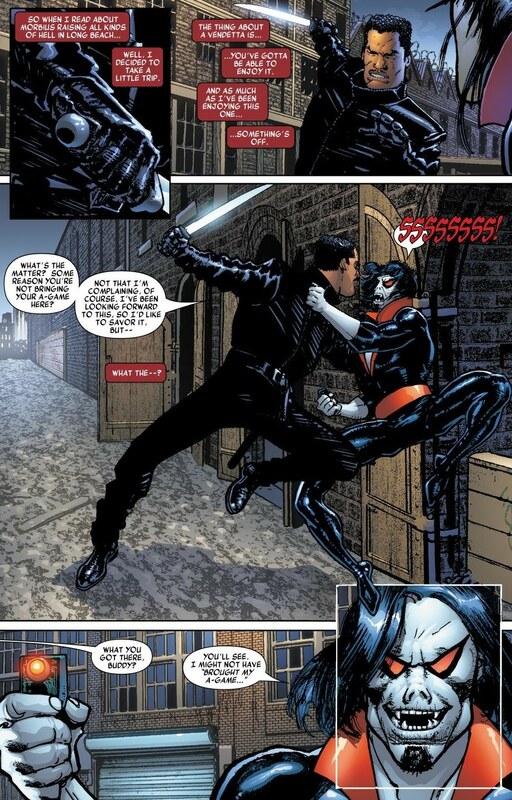 Now lets talk about the Morbius scene. If you watch Blade you will not, I repeat you will NOT see this scene. This is an alternate ending that was never used. The plan with the scene was to set up Morbius as a villain of Blade 2. However, they decided to go after the European Vampires instead and cut this scene and replaced it with the one of the Russian with the Russian vampires. This scene is very similar to the after credit teasers that Marvel uses today. In the scene you can see a man standing on a distant building, with a mask and a cape. 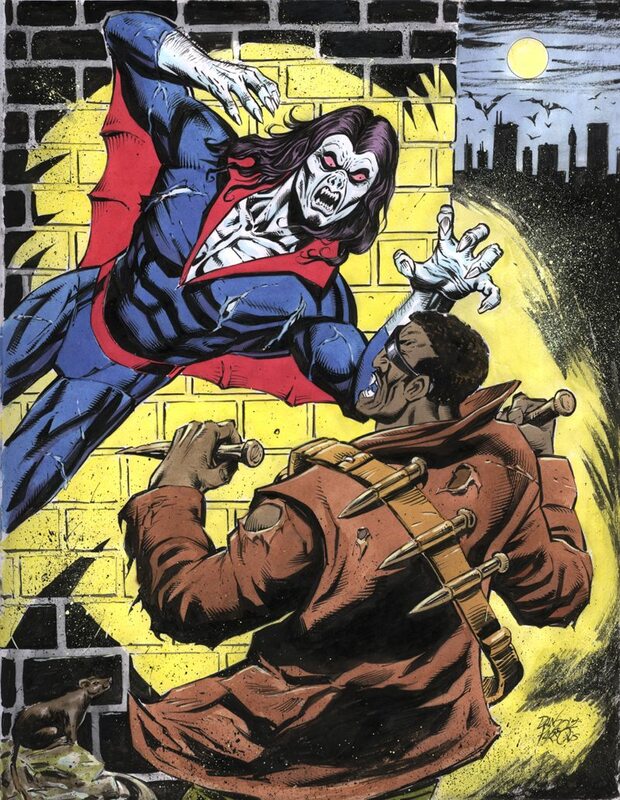 Many people now look at this and say "Why didn't they use Morbius?" 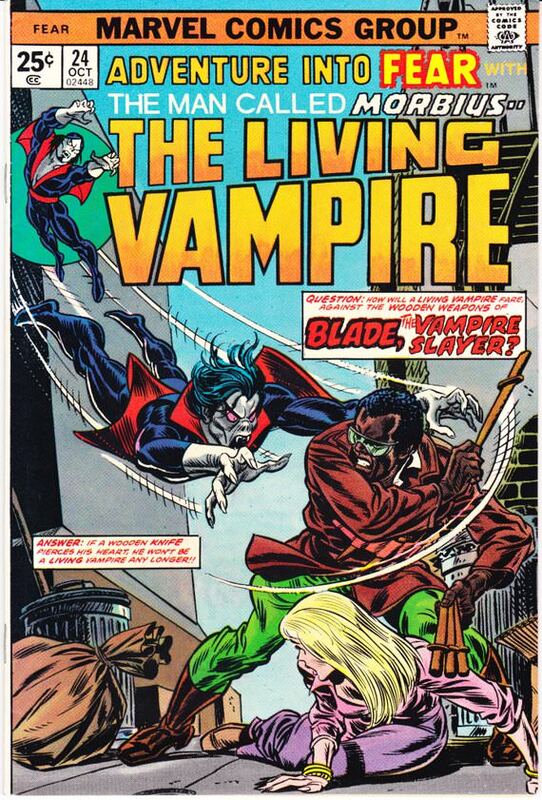 Blade and Morbius share a lot of history and comic fans would have liked it. 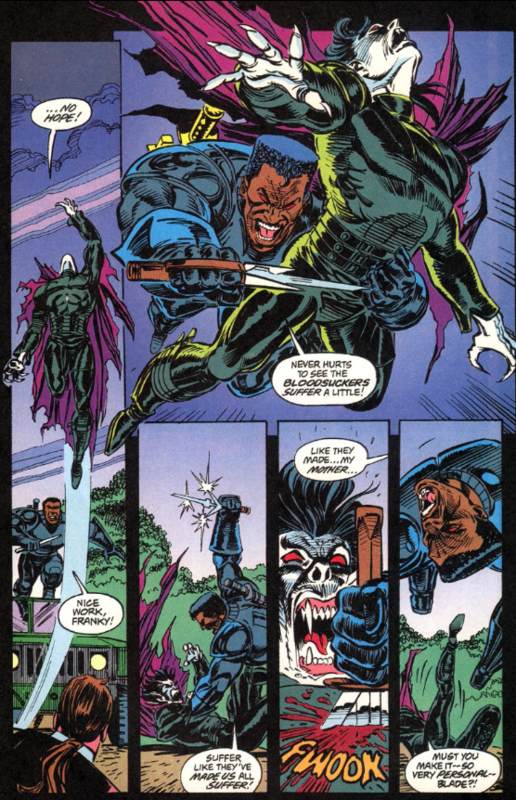 However, you have to go back to the mindset of the 90s and realize that Blade was never billed as a Comic Book Movie. It was sold completely as an action, vampire film. People who say they were setting up Midnight Sons are likely wrong. I think that type of thing just was not on their minds yet. While not the most popular Marvel character Morbius does have his fans. Here are some toys and comics that are popular featuring Morbius on Amazon. The two have a long comic history of fighting each other and working together. Here is a gallery of some of our favorite images of the two battling against each other. 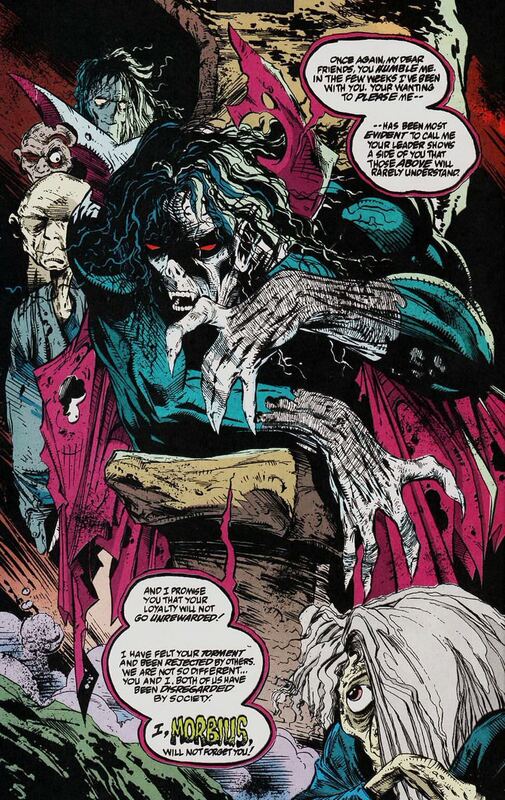 My all time favorite Morbius work was done by Todd McFarlane. 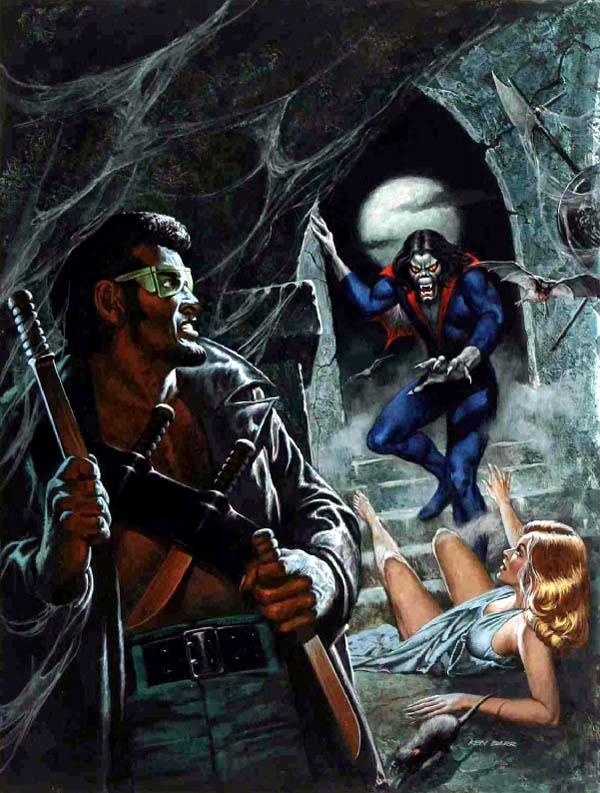 I really think his style lent himself to the dark and creepyness of Morbius.